Looking for adventure this weekend? Ever wished you could take your bird? Well, check out these bird-friendly places around Brisbane. Details: Every Jan Powers Market is a big, bustling open-air market selling fresh farm produce, flowers, breads, artisan designers, meat, fish, fowl, plants, organics, olives, spices, oils, honey, ginger beers, bagels, fresh pastas, curry powders, delicious smoothies, French delicacies, coffee and food combinations that are beyond compare! Location: Old QUT Carselfine Campus. 532 Beams Rd, Carseldine. Details: The Carseldine Farmers & Artisan Markets is North Brisbane's very own genuine produce, foodie and craft market with a wide range of wares focusing on the availability of premium & in-season fresh produce from SE QLD, traditional and gourmet foods made on the spot, market provisions made by passionate producers. Packed with loads of stalls, live music, activities for the kids, and a huge seating/relaxing area. Location: 159 Hamilton Road, Wavell Heights. Details: If you LOVE good coffee and a welcoming atmosphere this is the place to visit. You only have to see their glowing reviews online to see how good their food is. Bonus, this new Brisbane cafe does all-day breakfast! Details: Large open grassed park with plenty of shady trees, perfect for a spring picnic. Very busy on weekends but does have toilets, BBQ and parking and disabled access. Details: Passionate and professional staff welcome you to one of Brisbanes largest and longest running Family owned Pet and Produce stores. Literally, hundreds of toys, cages, aviaries, accessories and foods this store is a must visit for bird lovers. They also have a huge aquarium, poultry and small animal department including a variety of fresh and local produce. Don't forget to visit their hand raised baby birds, you might even go home with a new friend! Details: Colleges Crossing Recreation Reserve is a popular picnic and tourist spot on the Brisbane River at Chuwar near Ipswich. This reserve features a lookout, a fun and engaging playground with shade-sails, a nature-based play area for kids, a lake for fishing and kayaking and a coffee shop with spectacular views over the lake. Facilities include: BBQs, Car Parking, Disabled Access, Drinking Water, Gazebos/Rotunda/Shelters, Natural Or Constructed Lookout, Picnic Facilities/Seats/Benches, Power and Public Toilets. 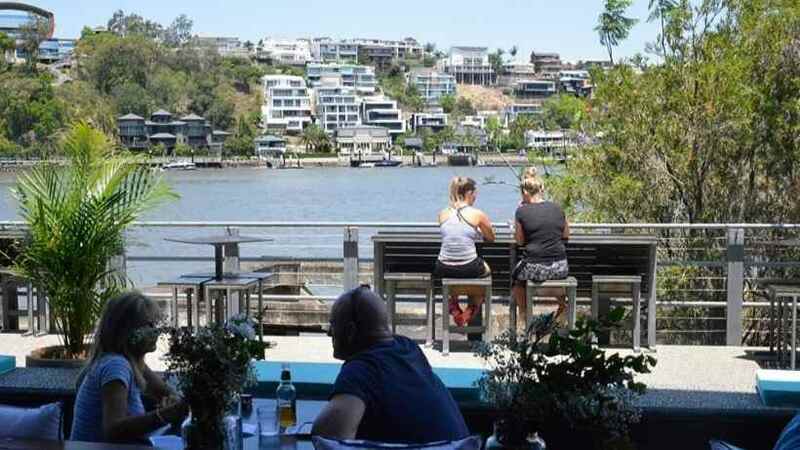 Details: Great views, share platters, small & big meals and refreshing drinks on the Brisbane River, they've got you covered every day of the week. No reservations necessary, just turn up, grab a seat and let the good times roll. Location: Brisbane City Botanic Gardens, located across the Alice Street forecourt and Albert Street. Details: Check out the range of art and fashion under the Queensland sun. Live music every morning, and great international food and coffee. Details: If you love to support local Animal Rescues this is the place to enjoy some delicious coffee. Totally pet-friendly, but lots of dogs. Best for birds confident on a harness and around other animals. Ensure your bird is confident wearing a harness. We highly recommend taking your bird on short trips first, working up to busier locations like markets. We recommend starting with less busy times like during the week but this might not be possible as some locations only allow pets on certain days. Ensure harnesses are properly fitted and carry cages are well secured. 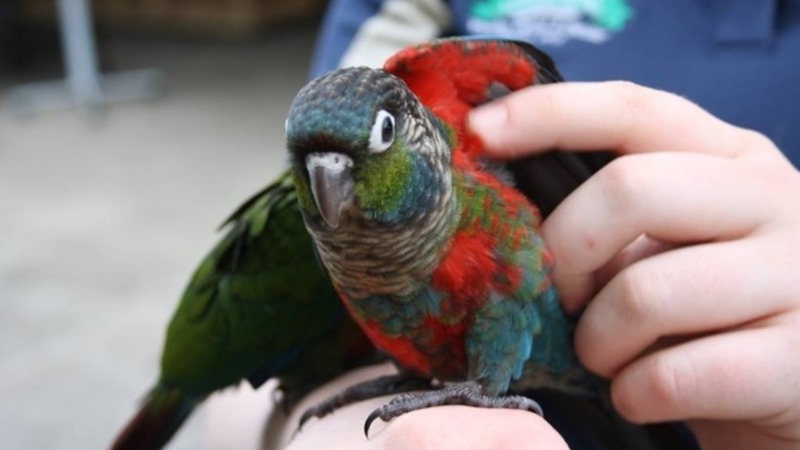 We do not recommend taking birds out without a harness even if their wings are clipped. Other pets around you may put your bird in a dangerous situation so definitely avoid areas where dogs are allowed off leash. Never take your bird directly where food is served and never allow your bird on tables where people eat. Every establishment, market or park will have its own rules and if you want to be welcomed back, follow instructions if given. You're probably going to draw a bit of attention, be courteous to other people who ask questions - we're all bird ambassadors! If you had a great experience and or want to suggest a location please Contact us. Please note: You take your bird/s out at your own risk. Establishments, Markets and Parks have confirmed birds are allowed at the time of publishing. Common sense is important.